I have a 2009 A6 Avant 3.0T Premium Plus. 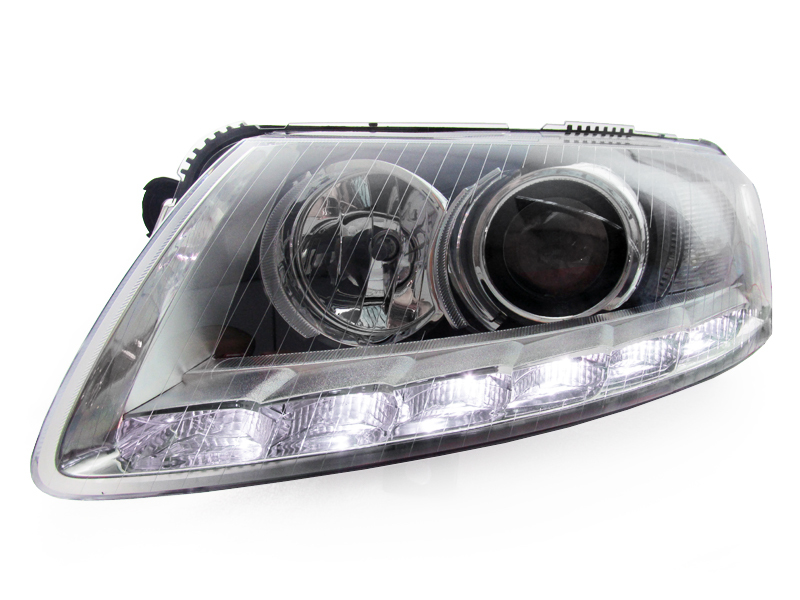 I recently had some body shop work done after a minor accident that required replacement of my passenger headlight. While this was being done, I went ahead and bought some Osram Nightbreaker Unlimited bulbs to improve output. 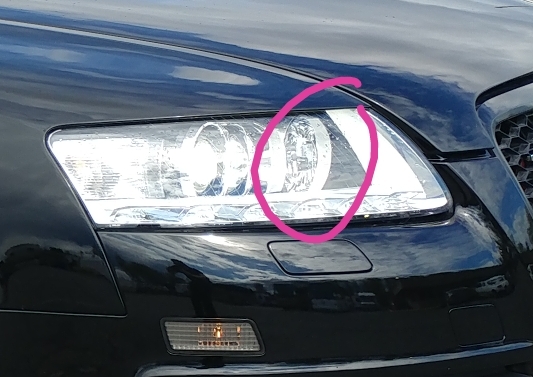 When I picked up the car from the body shop, I noticed that the non HID Bulbs that are in the housing next to the HID units don't light up. I tried headlights on both with and without highbeams selected and the incandescent bulbs don't light up. I can see a difference happening on the HID bulbs between high and low beams. Honestly I never paid enough attention to know what the car did before the accident. Any insight? 1999 A6 Avant (19's, Tint, Grill, HID's) GONE. That bulb turns on while driving very slow and turning. Ie, In a parking lot driving around and turning down isles or into a spot type of speed. Maybe even on main roads and making a turn sorta slow? It's used for additional light in the direction your turning. Maybe try that scenario and report back? Are you referring to your flash to pass lights? Pull back on the turn signal lever and they'll come on. The bulb directly next to the hid. The halogen bulb on the left is your flash to pass light. It only comes on if you pull back on the turn signal lever. It is actually brighter than most HID high beams on our vehicles.